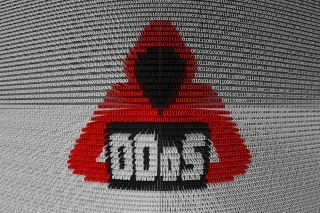 New research highlights the financial and reputational cost of DDoS attacks. New research has revealed that DDoS attacks can cost enterprises £35,000 per attack though lost revenue is only the fourth most damaging consequence of falling victim to this kind of cyber attack. Corero Network Security surveyed over 300 security professionals across a range of industries such as financial services, cloud, government and more to shed light on the damage that DDoS attacks are causing to organisations worldwide. Of those surveyed, 91 per cent said that a single DDoS attack can cost their organisation up to $50,000 in terms of lost business, productivity and the cost of mitigating an attack. Additionally, 69 per cent noted that their organisation experiences anywhere from 20 to 50 DDoS attack attempts per month which equivalent to roughly one attack per day. Despite the high cost of dealing with an attack, a vast majority of respondents (78%) cited loss of customer trust and confidence as the single most damaging effect on businesses that have suffered a DDoS attack. The second highest threat was the risk of intellectual property theft followed by the threat of malware infection associated with a DDoS attack, making lost revenue the fourth most damaging consequence. The organisation's research also pointed out that cybercriminals have begun to use DDoS attacks as a distraction for more serious network incursions with 85 per cent of those surveyed of the belief that DDoS attacks are often used by attackers as a precursor for data breach activity.